The second season fo Mighty Cruise Ships on the Smithsonian Channel will feature some amazing cruise ships you won’t want to miss. The new second season of Mighty Cruise Ships airs on the Smithsonian Channel every Sunday at 8 PM. Each episode will feature a unique cruise ship which is profiled and viewers can get an insight into the ship. Among those profiled in the series are Ocean Endeavour, Europa 2, MSC Divina, Royal Clipper, Viking Sea and Carnival Vista. Built in 2000, Royal Clipper preserves and celebrates the traditional seagoing ways of the late-1800s, and does it on a grand scale. This modern-day tall ship boasts five masts that soar 190 feet in the air, and 42 sails that can catch even the slightest of breezes. Join us as we set sail down the western coast of Italy, head east to Greece, and north into the Adriatic Sea. It’s a 12-night voyage of luxury and romance for guests, but for the crew, it’s a non-stop adventure thanks to torn sails, a broken motor, and some missing passengers. Ocean Endeavour is about the furthest thing you can imagine from a tropical pleasure cruise. This Arctic expedition offers guests the ultimate ocean odyssey through glacial waters and into remote regions larger cruise ships won’t dare go. Join us on a priceless 12-day polar adventure from Greenland’s west coast across the Davis Strait into Canada and through the Northwest Passage. For passengers, it’s a trip of a lifetime, but for the ship’s crew, every experience brings uncertainty and the potential for danger. 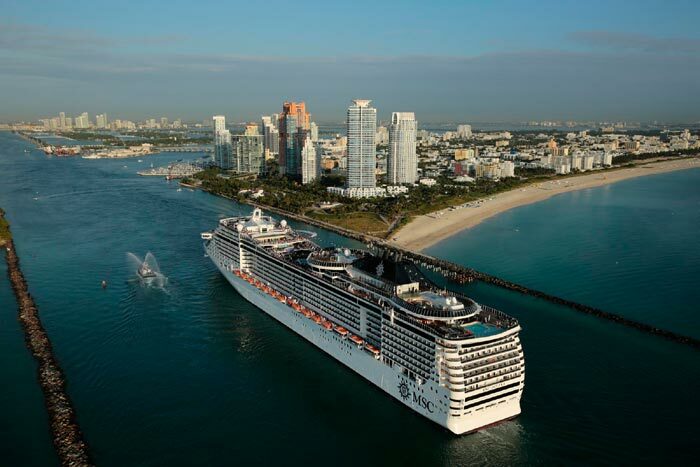 MSC Divina is a taste of Europe in the Caribbean. Designed by Italian naval architects and named after movie star Sophia Loren, this cruise ship offers each of its 4,200 passengers a “taste of the sweet life.” However, this particular voyage from Miami to Jamaica, Mexico, and the Bahamas will be anything but smooth sailing for the ship’s crew. A tropical disturbance brewing nearby is building to hurricane force and is on a collision course with the final two ports of the cruise, threatening to bring this divine trip to a disastrous conclusion. This is a great series which is worth watching if you love cruise ships.